How do people get by in times and in places where opportunities for standard employment have drastically reduced? This book examines the relationship between social exclusion, poverty and the labour market. It seeks to challenge long-standing and dominant myths about ‘the workless’ and ‘the poor’, by exploring close-up the lived realities of life in low-pay, no-pay Britain. Based on unique qualitative, life-history research with a ‘hard-to-reach group’ of younger and older people, men and women, the book shows how poverty and insecurity have now become the defining features of working life for many. An illuminating read, finds Jacob Lesniewski. Poverty and Insecurity: Life in Low-Pay, No Pay Britain. Tracy Shildrick, Robert MacDonald, Colin Scott Webster, Kayleigh Garthwaite. The Policy Press. December 2012. So much of the public, political, and even academic discourse around poverty, low-wage work, and welfare rests on untested assumptions, insufficient data, and ideologically freighted tropes and myths about the poor, the jobs they do, the reasons for their poverty. Poverty and Insecurity is a qualitative in depth study of residents of working class neighbourhoods in Middlesbrough, Teesside in the North-east of England. Teesside, a former industrial powerhouse region of England, suffered significant economic restructuring and shifts in employment from heavy industry to lower paid service and manufacturing work with concomitant increases in poverty and social ills. Importantly, this is the fourth in a line of studies of the same neighbourhoods by some of the same authors. This provides a longitudinal perspective, one sorely lacking in debates about welfare, poverty, and the conditions of work facing low-wage low-skill workers. The authors do an excellent job of connecting their data with theory and other empirical studies, which allows them to move back and forth between the general and specific with a high level of fluidity. As is predictable from the sensitivity of the methodology chosen, the authors’ findings counter much of the conventional wisdom on which policy interventions are constructed. Importantly, the authors find from their interviews with working class residents of their selected neighbourhoods that there is a persistence to the “low pay, no-pay cycle” of work and welfare faced by respondents. The low-pay, no-pay cycle refers to “a longitudinal pattern of employment instability and movement between low-paid jobs and unemployment usually accompanied by claiming of welfare benefits” (p.18). This cycle rarely, if ever provides low-wage workers in Teesside with the ability to move out of poverty. Nor do these jobs provide stepping stones to higher paying, more secure work. In fact, the cycle, which all of the respondents find themselves trapped in is more likely to trap workers in what the authors call “poor work.” The longitudinal aspect of the study allows the authors to also show that the cycle is not merely a characteristic of youth transitioning to adulthood, but persists across the life cycle. Importantly, the authors also find that the barriers to steady and sustaining work have less to do with the supply side of the labour market and more to do with the demand side. It is not the characteristics of the workers, their skills, attitudes or “attachment to work”, or enmeshment in a culture of poverty that confines them to the cycle. Rather the characteristics of the jobs available are more important for producing the low pay, no pay cycle. Even supply side issues like poor health are deeply connected to “poverty work” or the structure of low wage jobs. The authors find that jobs offered are hard, offer little training, and offer little in the way of leave or other benefits. The work available “is typically low-skilled, low-paid, and insecure, yet usually requires uncommonly high levels of personal commitment. These jobs were found to be typically physically and mentally demanding yet poorly valued…” (p.7). When workers get sick or have to take care of a child they get fired or have to quit, producing another turn in the cycle. There is much more in this book about the specifics of the challenges of the low pay no pay cycle faced by poor workers in Teesside. What is most illuminating and disturbing is the lack of knowledge and understanding of the reality faced by the poor by those charged to help them. Those in the helping professions, whether public sector agencies or voluntary agencies (my knowledge of the specifics of British public sector welfare provision increased dramatically after this read), often continue to put the onus for poverty on the individual characteristics of individual worker. Many employers, public sector agency staff and even workers themselves who were interviewed repeatedly re-articulated notions of the neoliberal “self-regulating subject”. Poor people, in their estimation, should be able to get their acts together and get a job. Policy makers, the poor, and those charged with assisting the poor continue to believe that work pays, that work will drive people out of poverty. The findings here complicate and question that notion. Even respondents, facing significant and often shocking levels of deprivation (fuel deficits that prevented heating their homes, food deficits, etc.) reject identifying themselves as poor, rejecting the stigma of poverty because they’re “trying hard” and aren’t on drugs or lazy. The challenge of the kind of research represented here is how to translate qualitative data into momentum that can change policy and agency practice. Quantitative studies, which have the mystique of numbers and statistical significance behind them, are more easily translated into digestible costs and benefit calculations for budget conscious lawmakers. Stories of struggles in the low pay, no pay cycle can be dismissed as just that “stories” that lack relevancy or rigour for policy making. The one major criticism of the book comes in its concluding section where the authors attempt to offer suggestions for helping workers out of the low pay no pay cycle. Amidst a slew of interesting recommendations, not once are solutions to the problem of trade union membership mentioned. Over and over again in this study the reality of the lack of collective power of the workers and their families profiled is front and centre. The decline of union membership is also identified as an important reason for the decline in working standards. Potential solutions need to be cognizant of the role of power and union membership in producing the entrapment of the low pay, no pay cycle. Without this recognition, any solutions are likely to rely on workers as a symbols and will not allow workers own agency and power to shape solutions that are ultimately more likely to be sustainable. 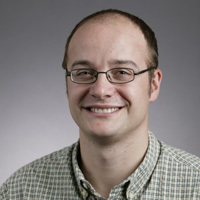 Jacob Lesniewski is a doctoral candidate at the School of Social Service Administration at the University of Chicago. His research broadly focuses on low-wage labour markets and the attempts of communities and workers to change working conditions in low-wage labour markets. His dissertation is an ethnographic study of a workers center in Chicago, focusing on the implications of the center’s approach to community organizing practice, radical social work practice, urban social movements and labour market regulation. Read more reviews by Jacob.